I was cut from my 5th grade choir in elementary school. I've been told that I should lip-sync in church. If I was a waitress at one of those restaurants where the staff embarrass guests on their birthdays with a raucous serenade and a free dessert, I'm quite certain I'd be asked NOT to participate. Even so, I love music and I love to sing. When I'm alone in my car, I'm a diva, singing along to the radio in full-voice with facial expressions and steering wheel drums to match. Sure, I get plenty of strange looks and a few laughs from people who catch my private stoplight concerts, but it's never bothered me a bit. When I drove down the road in full sugar skull makeup in broad daylight, however, I have to admit I felt a little self-conscious. It still didn't stop me from singing, but when the police officer who pulled alongside me on the north side of town did a triple take, I realized I just might look a little crazy in my patchwork special effects contacts and painted face as I belted out The Freaks Come Out At Night (remember that old chestnut?)! The kitty cat is my beautiful niece; Cosmetic contact lenses will add unparalleled drama, but your eyes will need time to get used to them. This pair can be found at VisionDirect.com, and could also be used in a Nightmare Before Christmas look. 4) Temporary tattoos don't work very well - so save your money. 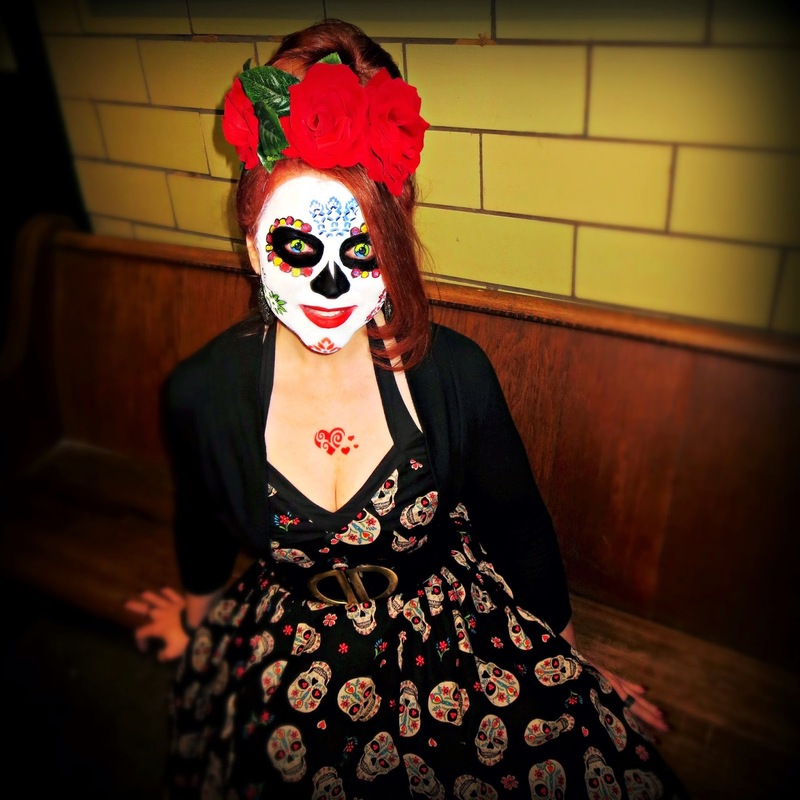 Prior to going the makeup route, I discovered sugar skull temporary tattos online. I loved the look, but the quality ended up being about in line with a prize from the bottom of a box of Count Chocula. More importantly, they have to be applied on clean, makeup free skin, which means you can't put on the critical white "skull face" base first. 5) Theatrical cosmetic contact lenses will add unparalleled drama to the look. If you don't need corrective lenses, you can find a wide variety of fun lenses online for less than $50. If, like me, you need prescription lenses, your options will be a little narrower and more expensive. However, when well cared for, they can be worn on multiple occasions. I have a few different designs (and will use another pair for a completely different look at a costume party tonight). My primary resource is VisionDirect. 7) Finally, don't hug anyone taller than you, or they will end up wearing your face on their shoulder! and for some great style tips, check out Style Crone's Hat Attack! Wow, what amazing makeup! 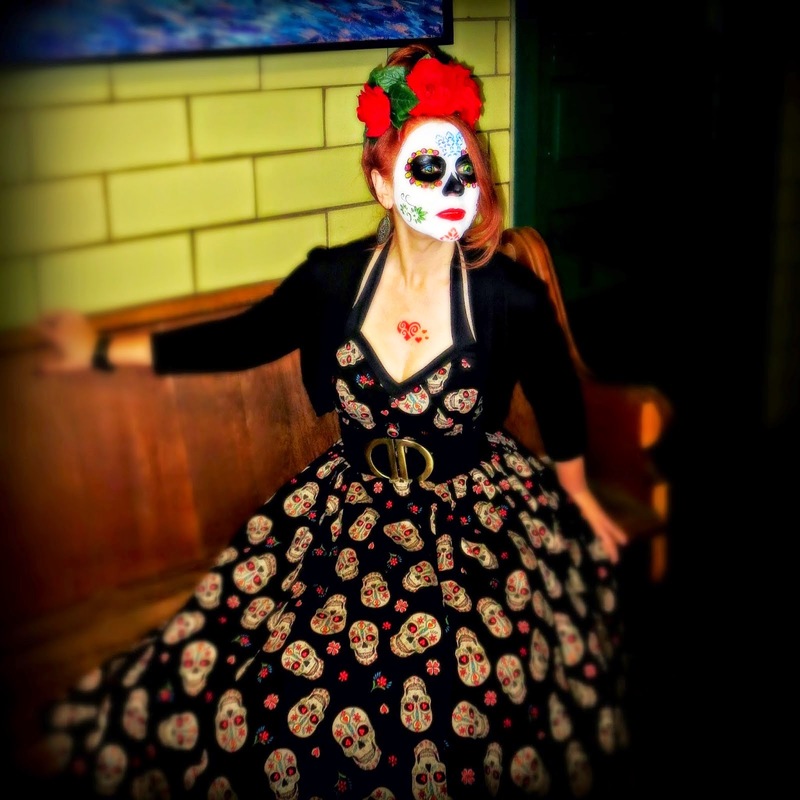 And the sugar skull dress is perfect for the look. Thanks so much! 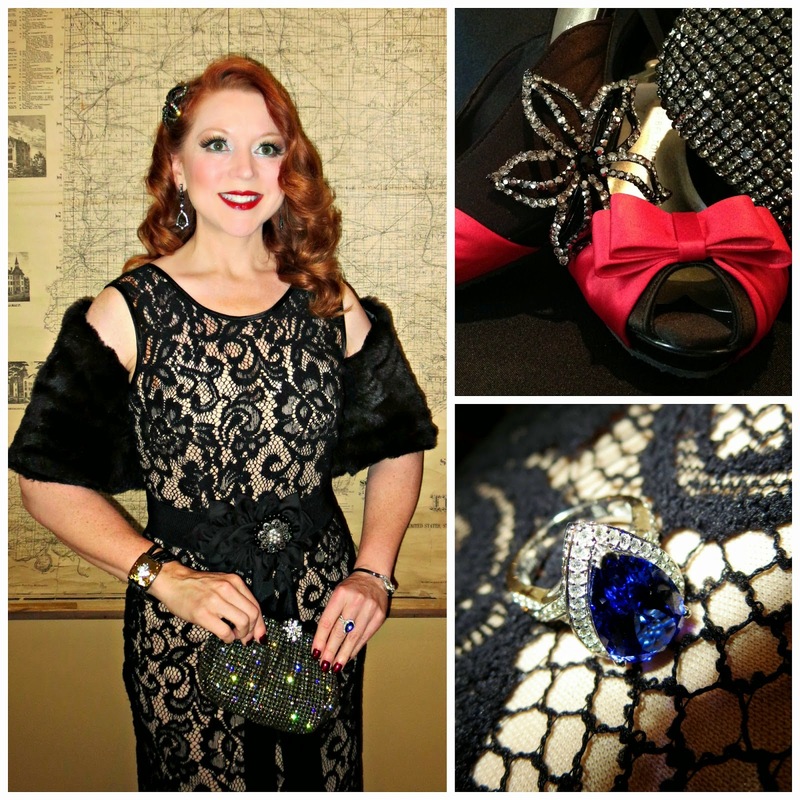 It's a look I'd been wanting to try for a long time and when I found the dress I knew it was time! Your "sugar skull" look is glorious and I'm enamored with the recycled flowers in your hair. You are a true creative! Thank you for sharing your talent and beauty with Hat Attack. Thank you, Judith, for your comment and for being such an inspiration and an individual! 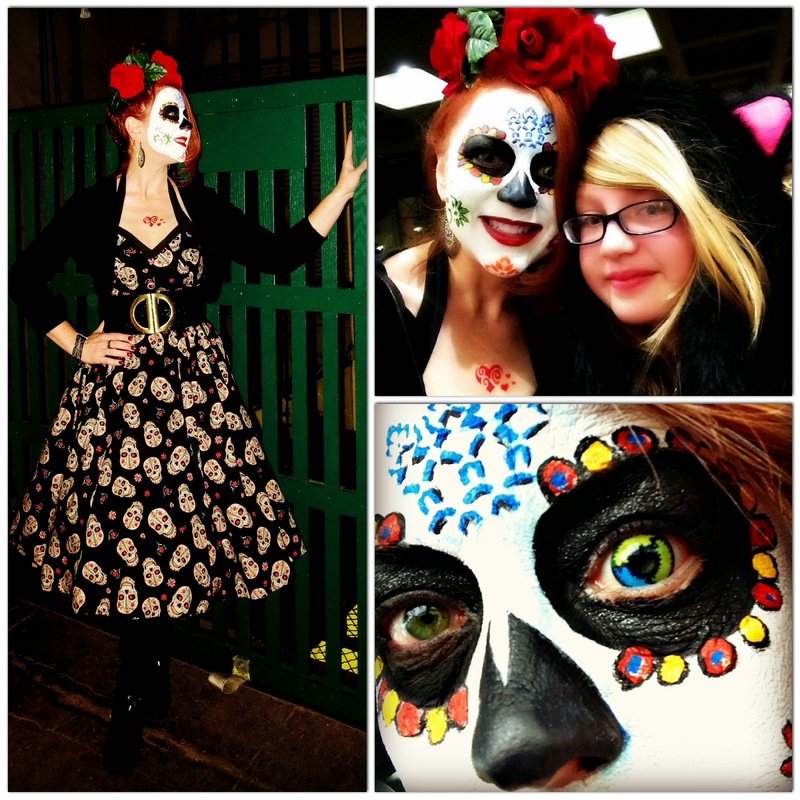 Your make up is so wonderfully done and your `sugar skull` dress just perfect for the whole look. 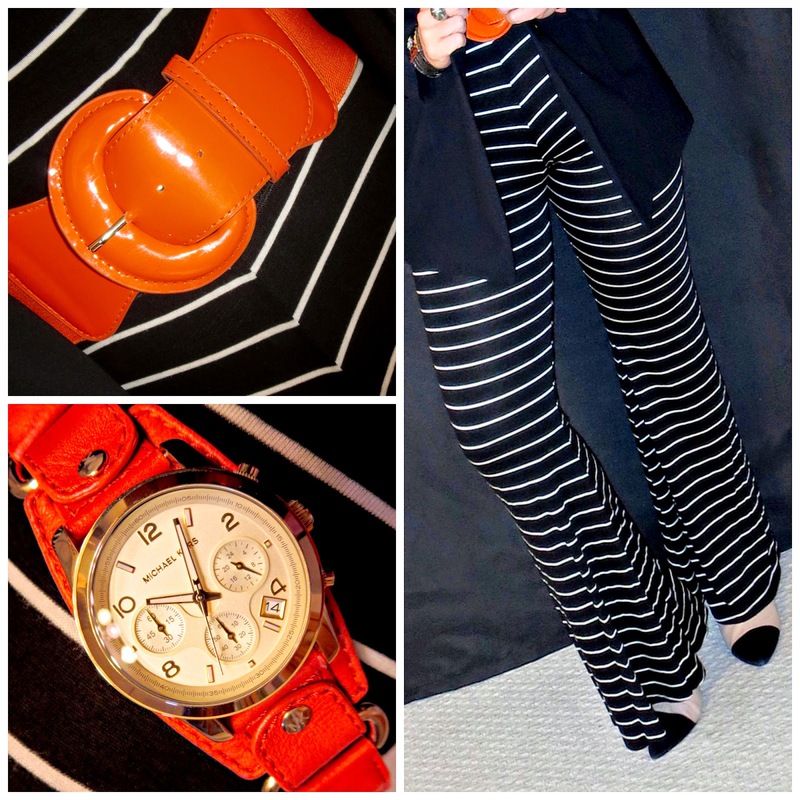 Such a clever, creative look. Thank you, Jill. I appreciate it!